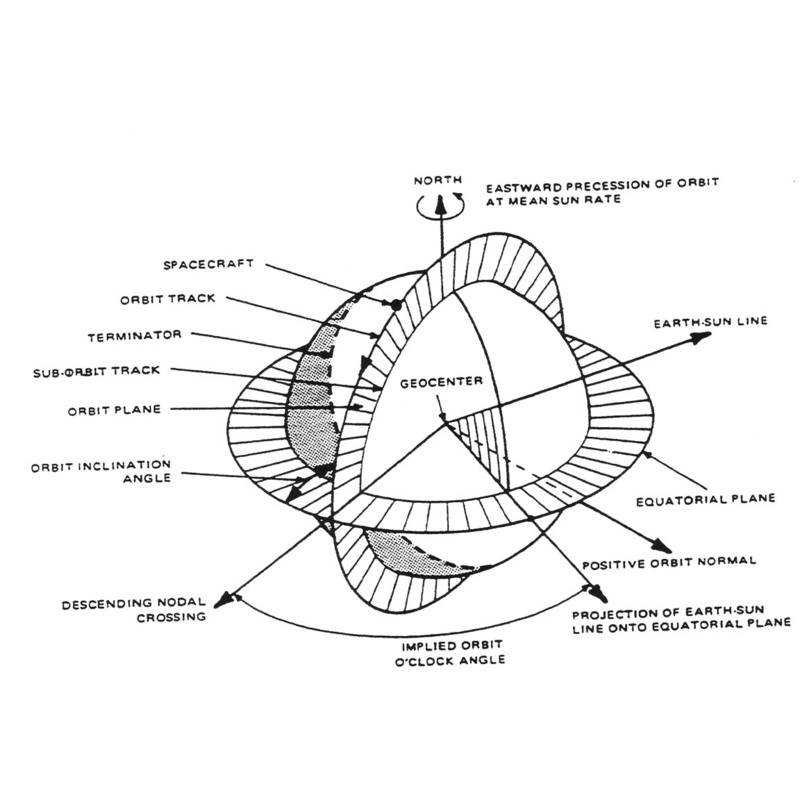 Schematic diagram illustrating the geometry of a sun-synchronous orbit for the morning descending node of Landsat. 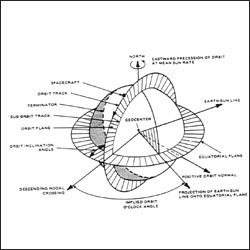 This schematic appears in the Landsat 6 Programming and Control Handbook that was prepared by Martin Marietta Astro Space in 1993. Like all of the Landsat satellites, Landsat 6 would have been in a sun-synchronous orbit had its launch been successful.